Zircon, one of the Birthstones for December, is the oldest known mineral on the planet, dating back 4.4 Billion years. While the most popular color of Zircon is currently a turquoise-blue, Zircon can be found in red, orange, yellow, green, blue, purple, brown, and white. Because of its brilliance and fire, the colorless variety of Zircon has been commonly mistaken for diamonds throughout history. Because of the similarity in name and appearance, there is also often confusion between natural Zircon and synthetic Cubic Zirconia. Zircon exhibits double-refraction on the facets of a cut stone, and rainbow-colored fire is often visible. Zircon is mainly found in China, Cambodia, Thailand, Vietnam, Australia, SriLanka, and Myanmar. Throughout the Middle Ages, Zircon was believed to promote riches, honor, wisdom, sound sleep, and to drive away evil spirits. The Gem Collection will have some beautiful Zircon on display for our upcoming Tallahassee Colored Stone and Jewelry Show on October 11-12. 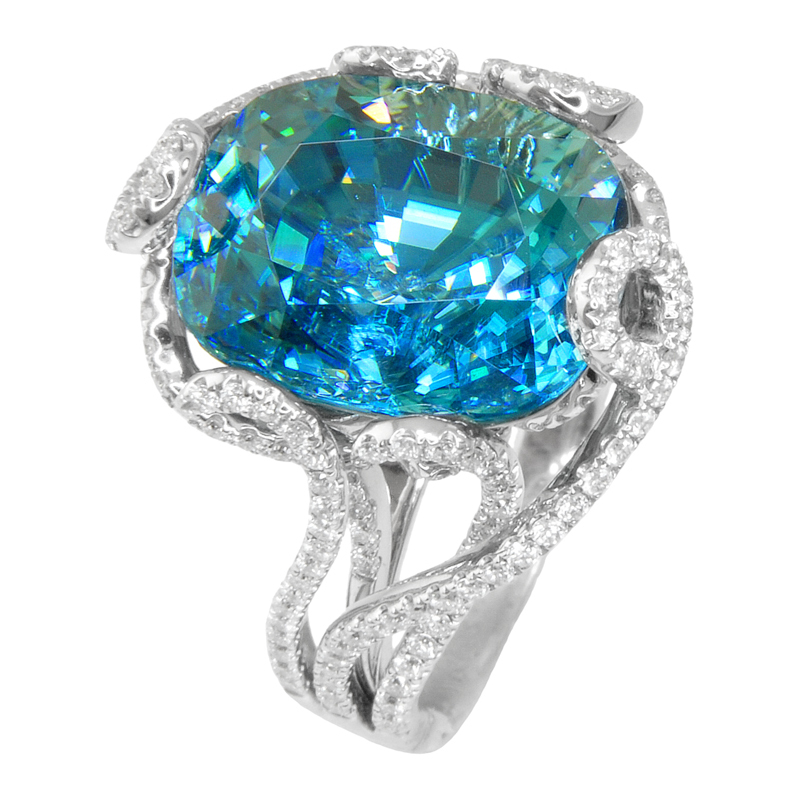 Don't miss this chance to view this amazing gemstone with your own eyes. The following videos from GIA display some beautiful Zircon gemstones.